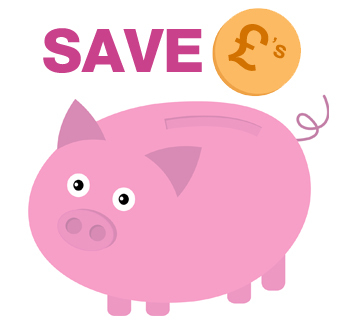 Our Stationery Save Packs remain a popular choice on our website. They allow our customers to purchase three popular products all at the same time and make additional savings (when compared to the purchase of the same items individually). Stationery Save Packs consist of equal quantities of each item; A4 Letterheads*, DL Compliment Slips* and Matt Laminated Business Cards**. You can use your existing print ready PDF artwork and simply upload it with your order, or if your existing Business Stationery needs refreshing or if you would like to change your design; then we offer a Professional Design Service which is extremely cost effective. What’s more, our Stationery Save Packs start from as little as £129 +vat and we offer free delivery on all orders. As well as Business Stationery, we print a wide range of other items such as; Duplicate Pads, Brochures, Leaflets, Flyers, Postcards, Stickers, Mousemats, Desk Pads & much more! If there is a product you are interested in that is not shown on our website, please get in touch as we may still be able to help you. *Letterheads & Compliment Slips are both printed full colour, single side, onto premium grade FSC Certified 120gsm paper. They are Inkjet and Laser printer guaranteed. **Business Cards (85mm x 55mm) are printed full colour, 1 or 2 sides, onto premium grade FSC Certified 400gsm silk art card and are matt laminated.